NIA CHARLESTOWN NEVIS (January 18, 2019) — Mr. Kevin. 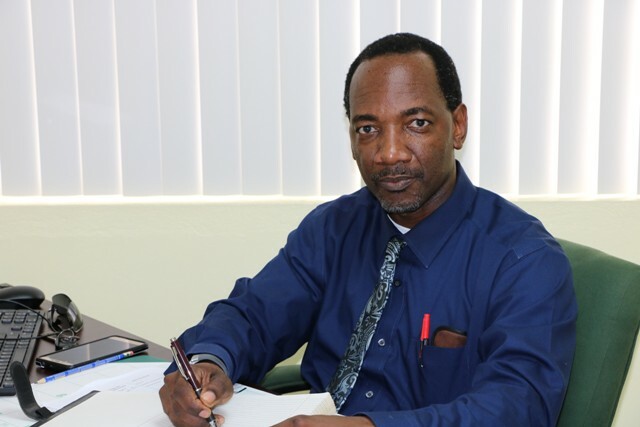 Barrett, Permanent Secretary in the Ministry of Education says the Nevis Island Administration (NIA), through the Ministries of Education and Human Resources is planning to honour 2018 university graduates who have returned to contribute to the development of Nevis. Mr. Barrett told the Department of Information on January 17, 2018, the initiative is that of Hon. Mark Brantley, Premier of Nevis, who believes it is a worthy gesture to publicly honour and show appreciation to the returning graduates. “He thought that it would be a good gesture if we could show some recognition and honour to those individuals who would have gone off to university and who would have graduated during 2018, and so he has charged the Ministry of Education and the Ministry of Human Resources with the responsibility of coming up with an event that would show that recognition and honour to such individuals,” he said. The inaugural event which will be held annually, is being planned for February 09, 2019, at Government House grounds at Bath Plain. The Permanent Secretary appealed to persons to submit their names and credentials to any of the ministries so that they are added to the list of honourees. “We are making that appeal, that if you would have graduated during 2018 and you would have returned to the island, whether you are working in the civil service on the government’s payroll or you are working in the private sector, we are asking you to present those credentials – your certificates, either at the Ministry of Human Resources or you could come to the Ministry of Education and we would add your name to a list that we are already compiling,” he said. Mr. Barrett expressed hope that the graduates would make themselves available for the event. He also urged persons to pass the information on to those who meet the required criteria and may not be aware of the NIA’s planned event. The Permanent Secretary noted that persons who have attained that level of certification, would agree that tertiary level study can be difficult, requires sacrifices and a level of dedication and commitment, and Mr. Brantley believes, they return home and often times are not acknowledged for their achievements.